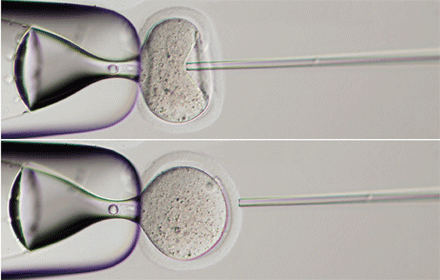 Intra Cytoplasmic Sperm Injection is otherwise known as IMSI. It is a kind of infertility treatment that involves inserting the sperm into the morphologically selected egg. In the process of IMSI, the sperms are designated before microinjection takes place. The procedure is mostly done using an inverted magnifier. The biologist will see the interior morphology of gamete through the magnifier and discard the defective ones. A single sperm will be picked up with a fine glass needle and injected directly into the each egg. Only experienced embryologists can do the procedure. The ability of sperms to penetrate eggs are assisted by the IMSI technique. So, very few sperms are required for the procedure. The procedures of IMSI are very much similar to that of the conventional IVF cycle. Recent studies show that, IMSI has become one of the popular treatments among people. It has already proven as a successful treatment for fertility.